For this project you will need some tree branches covered in lichen. According to RHS Miniature Garden Grower by Holly Farrell the lichen on the branches will continue to grow even after the branch has died. This means that even in its terrarium the tree will continue to grow! Break your branches up into different sizes, if they are not already. Use a bigger, thicker branch as the main trunk of the tree. Place it into the jar to make sure it fits! Outside of the jar, take the smaller branches and use the hot glue gun to stick them onto the main branch. Try to arrange the branches in a random order, but essentially you want it to look like a miniature tree. Keep putting the tree into the jar as you stick on branches to make sure it fits. If it doesn’t you can easily snap off small pieces of twig until it does. This part is optional, but to make your Mason Jar Tree Terrarium look more forest like, add in some moss. Spread this over the base of the jar and add in some small pine cones. Finally, carefully place your miniature tree into the jar. Mine leans against the side of the jar, but if you want yours to stand upright, add some hot glue to the base. 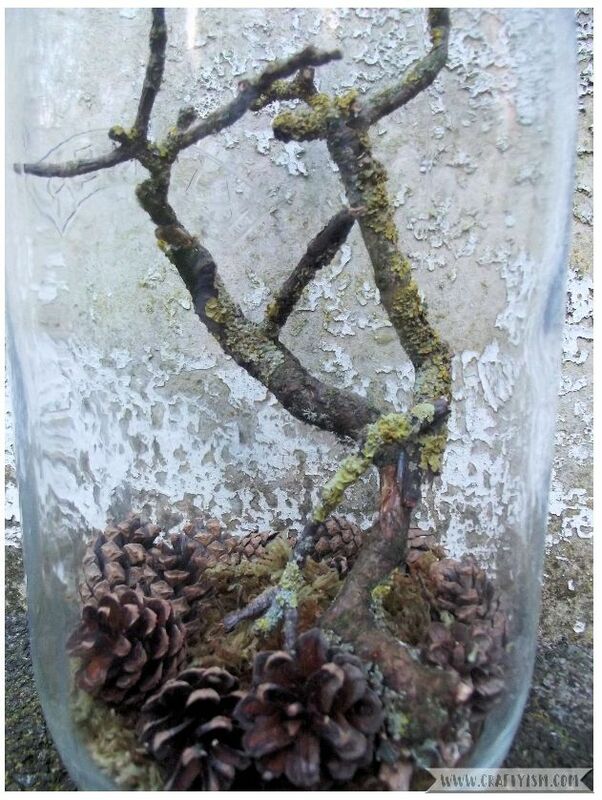 You may want to do this before you add the moss and pine cones so that it can stick to the glass base of the jar. And it’s finished! Now you don’t need a window to watch the trees change. 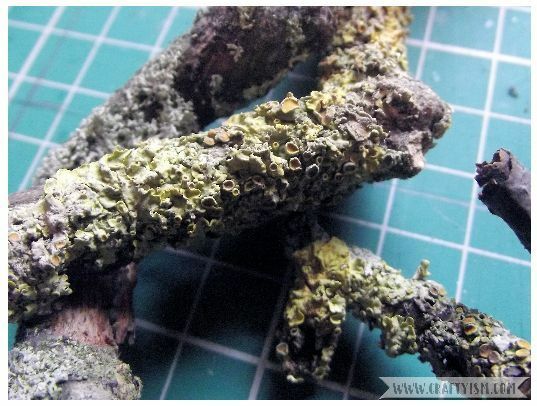 As the lichen continues to grow, it will change the colours and the shape of your miniature tree. You can make this as big or as small as you like. Why not challenge yourself to make the smallest tree that you can in a tiny jam jar? Let me know how small you can go!